Bitcoin has always been on the fringe of legality. As a currency that is both digital in nature and has no government backing it, the cryptocurrency is quite vulnerable to legal maneuvers. This is why regulation has always been a sore point for many Bitcoin users. Fortunately, quite a few countries have accepted Bitcoin with open arms like Bulgaria and Brazil. Others who do not voluntarily accept it usually leave it as be. The bad news is there are exceptions. Several nations have banned the cryptocurrency like Bolivia and Bangladesh, stemming from concerns about money laundering. The biggest opponent of Bitcoin in the international legal realm is a title that could only be claimed by one country: Russia. In recent years, the Russian government has been constantly been battling Bitcoin acceptance with several law proposals and even blocked Bitcoin websites at one point. The most recent one, though, is perhaps the harshest suggested by the Russian authorities as Bitcoin regulations go. Interfax, a Russian news service, reported that the Russian Ministry of Finance is aiming to start a fresh offensive on Bitcoin with a new law proposal. This is an amendment to the current criminal code that suggests some strict punishments that are to be meted out to anyone who uses Bitcoin. For instance, normal citizens would face a ₽500,000 penalty, which can be garnished from their income for the next three years. Inability to pay will have these people sent to prison for four years. The consequences would be even worse for those who are more involved in Bitcoin. For organized groups of Bitcoin miners, they can expect a penalty of ₽1 million, which can be taken from their income for two to four years. Inability of payment will result in a six-year imprisonment. 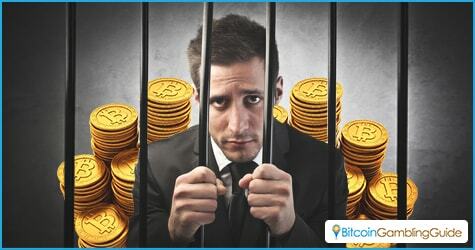 For members of financial institutions dealing in Bitcoin, the punishment is even harsher. The penalties include a fine between ₽1 million to ₽2.5 million and possible imprisonment for up to seven years. 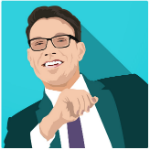 This piece of legislation, even in proposal form, is regarded as the harshest ever placed against Bitcoin. This adds a new wrinkle to the saga of Bitcoin in Russia, which has always been turbulent. The relationship of Russia and Bitcoin can be considered confusing. Ever since the cryptocurrency hit the public consciousness three years ago, the government has been trying to get a handle on the cryptocurrency. On one hand, Russia is wary about how the cryptocurrency can disrupt the normal flow of currency both into and out of Russia. Additionally, concern about how Bitcoin can facilitate money laundering and other less-than-legal activities is one of the reasons for Russia’s rough handling. On the other hand, pro-Bitcoin supporters in Russia have also been gaining ground, with many seeking friendlier Bitcoin laws. The government is also not totally against Bitcoin, with its look into using the block chain technology behind it. It is hoped that as Bitcoin becomes better understood. 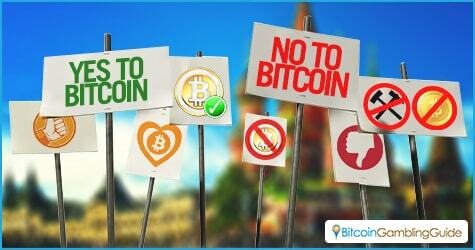 Russia’s anti-Bitcoin stance softens in the future. In fact, there have been developments that institutions and sectors have expressed intent to embrace Bitcoin and its technologies, and this includes the consideration of Bitcoin gambling in Russia.